Most people probably know that the genesis of the term “movie trailer,” comes from its original placement at the end of the film, rather than the beginning. But as this new, in-depth essay from Hopes and Fears shows, the evolution of the trailer is long and storied, a microcosm mirroring the development of the film industry itself. As is the case today, the first movie trailers started out as advertisements, first for products, then for other productions. But by the 1930s and ’40s trailers had settled into a different format, a TMZ-esque approach that “would showcase the stars, the special effects, whatever the film had to offer. And they would offer tantalizing glimpses of the movie, rather than a complete narrative rundown,” according to Professor Wheeler Winston Dixon of the University of Nebraska-Lincoln. During this time, the National Screen Service (NSS) formed contracts with the major film studios that set the standard for trailers and movie posters for nearly 20 years, until they were brought to court for monopolistic practices and consequently allowed their exclusive contracts to expire. Every NSS trailer followed a similar recipe: typography and text (Expressions that take cues from the silent era: “You’ve Never Seen Anything Like It!” and “Sensational! Marvelous! A Romance for the Ages!”), narration to clear up some the murky complexities of plot, music to showcase the intrigue, danger, romance, and timeless good feelings of the film, and montage—quick clips and sharp one-liners to help draw the characters. No longer yoked to the NSS format, the ’60s and early ’70s saw a period of trailer experimentalism, often playing with—or directly against—NSS tropes, such as in the trailer for Stanley Kubrick’s Dr. Strangelove. That is, until Jaws. 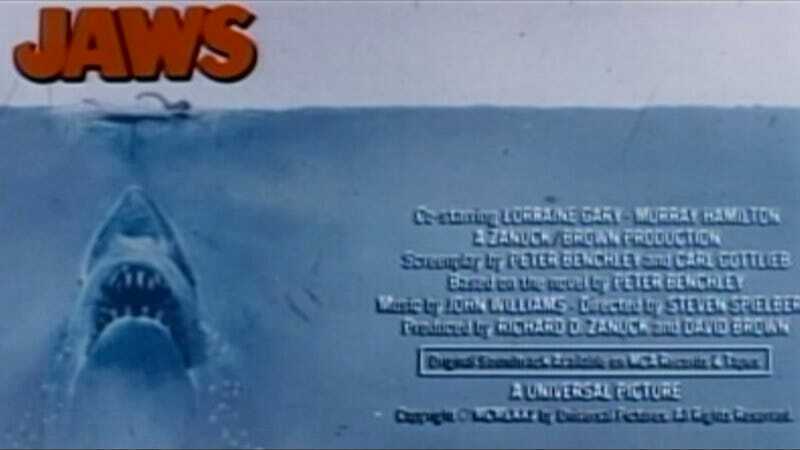 The Jaws’ trailer is very close to what most movie trailers would become, three-minute mini-movies that show the audience exactly what they’re getting into. You can see this evolution clearly when comparing the trailers for the first three Dirty Harry movies. Dirty Harry (1971) focuses almost entirely on character, especially compared to the trailers for the second and third Dirty Harry movies, Magnum Force (1973) and The Enforcer (1976), which offer far more direct explanations of the film’s plot and, more importantly, the latest group of punks that may or may not be feeling lucky. In other words, blockbusters themselves can be held largely responsible for the “explains too much” format that current trailers so often take. As movies became more expensive propositions, pressure was put on trailers to reveal to the audience exactly what they could expect from the narrative to justify big budgets and marketing dollars. There’s much more at the link, including the influence of famed voiceover man Don LaFontaine, a look at the now-ubiquitous Inception “BRAAAM” sound, and an explanation of modern movie trailers that would have made the NSS proud.